Internationally renowned for his Christmas decorations, Johann Wanner has excelled as a designer, researcher and successful businessman. But most of all, he's still a child at heart, The Local's Meritxell Mir discovers. 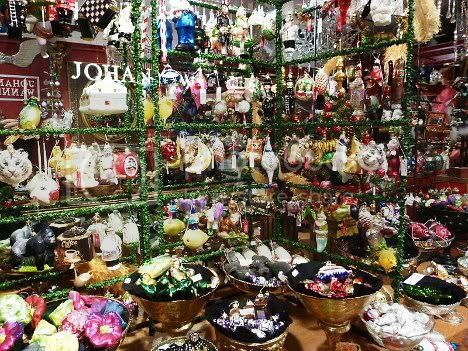 For Johann Wanner, Christmas comes around 365 days a year. 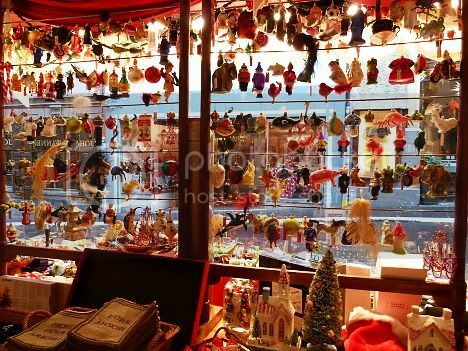 From his shop in Basel's historic district, the world’s biggest manufacturer of hand-made Christmas tree decorations sells his Yuletide ornaments to customers all over the world. Regarded as the Coco Chanel of the Christmas tree world, Wanner's ornaments have decorated spruces at the White House, the Vatican and Buckingham Palace. Hollywood stars and singing sensations have also had their firs furnished by Switzerland's self-styled prince of tinsel. He refuses to reveal their names, although he admits having met Queen Elizabeth II in person. But despite courting countless celebrities over the years, Wanner says children remain his favourite customers. “When we have to clean the fingerprints from the lower part of the showcase window, we know we are on the right track,” he tells The Local. Humble and discreet, this 72-year-old trend-setter has spent decades researching the 500-year history of Christmas tree decorations. “Instead of women, I dress trees,” Wanner says, likening his trade to that of a fashion designer. “I create a collection every ten months,” he adds, explaining how he draws inspiration from the catwalks of Paris, Milan and New York. 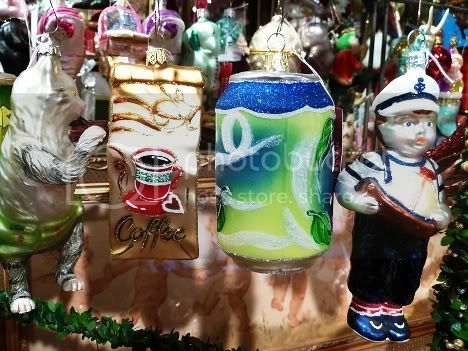 Every Christmas season, Wanner adds about 200 new creations to his dazzling catalogue of ornaments. This year, the most important addition is a series of reproductions of the luxury Fabergé eggs once crafted for the tsars of 19th century Russia. Like the originals, they are made in Bohemia and can be opened to reveal special greetings of the season. 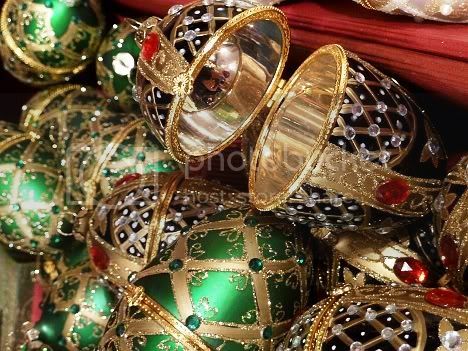 The eggs are hand-painted with elegant motifs, feature crystals made at the Svarovski factory in Poland, and have interiors coated with gold and silver plating. They cost 48 francs ($51) apiece. In addition, classical Christmas baubles made with fine Bohemian crystal are available in 980 colours, with prices ranging from 0.50 ($0.53) to 2,000 francs ($2,150) depending on their size. For the more adventurous shopper, Wanner offers decorations catering to even the most peculiar of tastes. 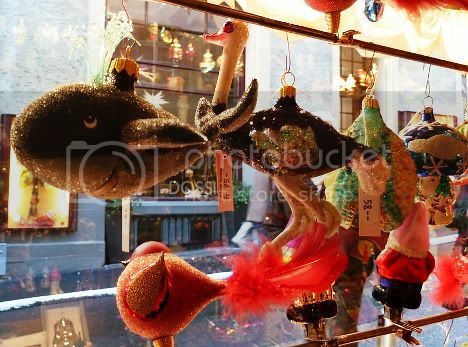 His shop, open all year round, stocks ornaments in the shape of penguins, frogs, whales, prams, ballerina shoes, doctors, soda cans, devil's heads, cigars, tea bags, microphones, mobile phones, and even tractors. A sort of Tiffany’s for Christmas lovers, Wanner’s shop is an intoxicating island of magic, luminance and fantasy. Trees, baubles, tinsel, glitter, beads and hundreds of gift boxes cover the walls from floor to ceiling, making it impossible to escape the holiday feeling. Yet this narrow, cluttered shop holds just five percent of his stock, Wanner says. In a warehouse on the outskirts of town, more than half a million decorative items lie in storage. Some have been there for decades. Wanner set up his Christmas business in the 1960s, when he managed to secure Switzerland's only licence to buy wholesale from crystal factories in Bohemia, then in Czechoslovakia. Fascinated since childhood by the Christmas spirit, his clairvoyant instincts told him he could make a living selling crystal balls. And he was right. He bought hundreds of thousands of them, some of which he still sells today. Although Wanner has made a handsome fortune from his business, he claims not to care about the money. His whole life revolves around Christmas, and not just because of the shop. Several fully decorated trees brighten his home every month of the year. “I like the atmosphere of Christmas, the warmness of this season,” Wanner explains in his soft voice. However, the most special tree is the one he dresses on Christmas Eve, in accordance with Swiss tradition. But it's the last half hour that's most critical, Wanner says, when final alterations can be made after taking a step back from the work. “My life is the theme of my tree,” he explains. It's decorated in a classic style, bringing together items he has collected over the years. For instance, a cork snail he made at kindergarten when he was four years old is one ever-present feature. “I was lucky to be able to keep my children’s island throughout my adult life,” he says. And it's an island he's happy to share with anyone curious enough to pay a visit.